Flowers from Thailand: Flower Experts gives you tips and advice on everything flower related. 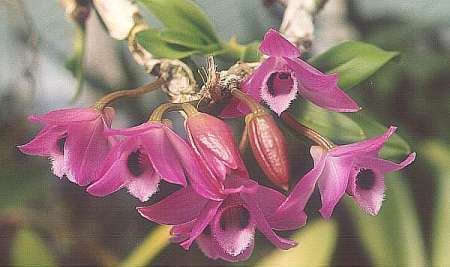 Thailand is famous for its production of Orchids. These flowers are often imported from this country and they have many different varieties. Many of these are grown commercially although because there are over 1000 groups of orchids not all of these are necessary to use for commercial production. There are some particular favourites as well such as the Violet Bloom. Other common varieties include Arachris and Aranda. However the prized White Orchid is also popular as a luxury, rarer flower. While the orchid is Thailand's largest flower export it does offer some other flowers. It also produces helicanias, frangipani, waterlily, angel tromphet, poppy and tiger lily all of which are colourful and aesthetically pleasing. These flowers are also sometimes exported. Thailand exports to Europe and a few other countries in the world. The national flower of Thailand is the yellow ratalapruek which is a key colour in Buddhism. It is the same colour as the robes worn by Buddhist monks. Flowers therefore have a different significance and meaning in Thailand compared to Europe. The orchids hold far less significance hence their use as a commercial product. They are produced far more easily in this climate than in the European climate and it is cost effective to have the orchids grown in masses in Thailand and exported to Europe and other areas of the world. Orchids are very popular today across the world, however, the market is not necessarily stable. This is because other less luxurious, less expensive flowers are becoming more popular and more frequently bought.